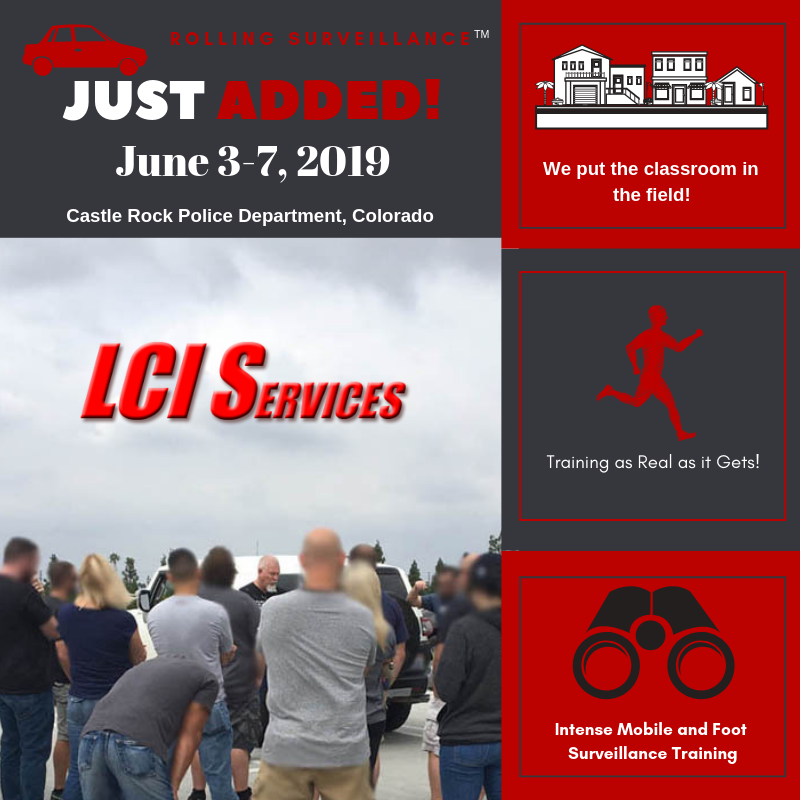 Rolling Surveillance is the original and leading hands-on mobile surveillance course providing realistic scenarios for law enforcement. This class also covers counter surveillance training and CS response techniques, dealing with sophisticated and organized crime for undercover police. Human (physical) surveillance should always be incorporated into your planning if you desire to successfully arrest suspects and prosecute a case, as it gives the necessary evidence. All of this is hands-on in the streets of where police officers work, an uncontrolled environment. We provide the ability to identify counter surveillance by street level and sophisticated organized criminals and respond together as a team . The focus is on surface street and freeway follows along with stationery set-ups with observations at apartment complexes, residential neighborhoods, various business settings, business complexes, mall settings, parking structures/lots and other similar locations. This surveillance course is intense and will test the limits of each participant’s ability to achieve the “seven critical elements for success.”© You will learn more about surveillance than you thought possible in a week, while having the most fun training to make you a more valuable asset to your agency and community. Register for one of the courses listed on our schedule or contact us to host/contract a class at your agency (saving your agency travel costs and per diem). Be sure to read the testimonials from our attendees to see why we are rated at the top in law enforcement instruction. These are some of the agencies who have attended our classes.